Catalign Innovation Consulting: Why did Prof. George Sudarshan say, “I am quite good at deceiving myself”? 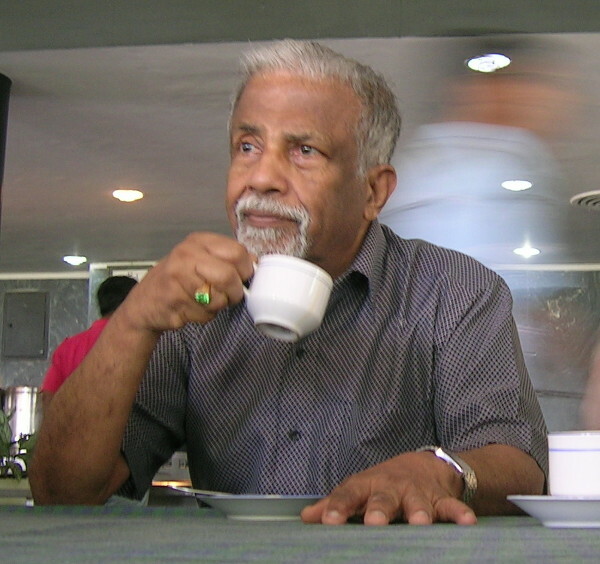 Prof. George Sudarshan was an eminent scientist known for his contributions in theoretical physics. He passed away a few months ago. He was 86. Sudarshan attended a seminar of scientists at Brockwood Park Educational Centre in Southern English countryside between October 14 and 19, 1974. Brockwood Park was founded by the spiritual teacher Jiddu Krishnamurti who was also a participant in this seminar. During this seminar, Sudarshan said, “Like everybody else, I am quite good at deceiving myself.” Why would an eminent scientist say such a thing? What did he actually mean? Does it mean all of us are also deceiving ourselves? Or was Sudarshan wrong in generalizing it to everybody? These are the questions I am hoping to explore in this article. Let’s begin by understanding the context in which Sudarshan made the statement. The week-long seminar was facilitated by Krishnamurti’s friend David Bohm. The theme of the seminar was the question, “What is the role of knowledge in the transformation of man and society?” The participating scientists were specialists in various areas such as physics, biology, psychiatry, neuroscience, philosophy etc1. The audio recording of the seminar is available on YouTube in the form of 12 videos. The format of the seminar included each scientist giving a short talk on the theme and it was followed by a discussion. To illustrate further what he means Sudarshan gives following example3. He says, "A few days ago in an American supermarket, I saw a book about God by von Daniken. The book says that the transport of people from other planets and other civilizations is now not only possible but feasible. And it says that physicists are talking about the possibility of propagation faster than the speed of light. I don’t think Daniken is a particularly good critique of physics. But I found that a person who is referred to there as having initiated this hypothesis (of transport of people) was a man who simply plagiarized my work six years after it was published in an American journal. Now, I don’t really expect that somebody is going to disapprove of me if this (reference to my name) is not there. But it took all the pleasure out of me. I had spent $1.25 to buy this book. And I didn’t read the book further. I hope to read it when I have more strength. May be after this conference." Now, Sudarshan would have come up with a good excuse to not read the book further. Perhaps he would have said, “Oh, this is not a good book, anyway.” But he is indirectly admitting that the real reason for abandoning the book is not because of the content of the book but because it referred to an idea he published first and it didn’t give him any credit. And this is self-deception. Self-deception typically involves two things. First, it involves feeling a pain in some form – we may feel anxious, sad, stressed, irritated, angry, guilty etc. And two, it involves misattributing the pain to some entity – a person or an object or a situation. In this case, Sudarshan was pained because the book he was reading didn’t give him credit he felt he deserved. And then perhaps he attributed the pain to the quality of the book and made a decision of not reading it further. Both Krishnamurti and Sudarshan are suggesting that this self-deception is going on with all of us. And it is happening in a subtle way and fooling us. Sudarshan seems to have done a good job in observing the process of self-deception post-facto. That doesn’t seem to prevent self-deception from happening again. What JK is suggesting is that there is a need for an alertness to catch oneself red-handed while deceiving oneself. 2. Sudarshan’s comment related to Dr. Shainberg is at: Audio | J. Krishnamurti & Scientists – Brockwood 1974, Seminars – 5: Transformation, feeling responsible, being attached at 18:50. 3. Sudarshan’s example related to the book he purchased in a supermarket is at: Audio | J. Krishnamurti & Scientists – Brockwood 1974, Seminars – 5: Transformation, feeling responsible, being attached at 42:37.